For stuff about the admirals and what’s happening in their lives. To celebrate the fact that Lovecraftesque is now a physical product you can hold in your hands, and since Halloween is coming up, we’re running a competition to design a scenario for the game. You don’t need to have read the game, you just need some creepy ideas and a little time. Lovecraftesque scenarios are short – like, a couple of pages – and their role is to provide inspirational material linked by a common location and theme. They provide ingredients someone could use to make an eldritch horror tale, but the players choose which ingredients to use, they add ideas of their own, and build a story for themselves. You can find a bunch of examples from the kickstarter here. You have until 11:59pm (UTC-11) on Monday the 7th November to submit your scenario(s) by commenting here with a link or emailling us at lovecraftesque at vapourspace dot net. Each person can submit up to three entries for consideration. The winner, chosen from among the entries by us, will receive a copy of Lovecraftesque softcover and cards for themselves or a friend (which we will ship to you wherever you are), and the runners-up will receive the PDF of the game (again, you can give to a friend instead). We recommend that you follow these guidelines; we’ll accept variations but the scenario must be an inspirational set of ingredients, not a pre-cooked story or situation. You retain your copyright over your entry/entries but unless you tell us not to we’ll publish your work on the Black Armada website for free download. We won’t use it any other way without your permission. We reserve the right not to publish anything which we deem distasteful or in breach of someone else’s intellectual property. So I read on G Plus recently that nobody ever credits the designers who influence them. I don’t know if that’s true, but we’re really keen to acknowledge the debt Lovecraftesque owes to previous games. There are three influences which really loomed large in our thinking. The big one is Graham Walmsley’s Stealing Cthulhu. Graham forensically analyses the style, structure and atmosphere of Lovecraftian stories and how you can replicate them in a roleplaying game. Once we had read this, we couldn’t stop thinking about how you could make a game system which would do some of that work for you – which would feel just like a Lovecraft story. Ben Robbins’ Microscope is another major influence. The game gives you the structure to create a shared world, while abolishing tedious discussion of what should happen next. In so doing, it ensures that all the players contribute to the story; that was inspirational. The “leaping to conclusions” rule in Lovecraftesque was influenced by our desire to duplicate that discussion-free story creation. Jason Morningstar’s Fiasco is obviously a very well-known indie game, and one of the first indie games that we played. The use of in-built story structure, guiding the story from initial scenes through the tilt and on to the ending and aftermath, stayed with us. The Journey into Darkness in Lovecraftesque is a direct descendant of the aftermath in Fiasco. We’d also like to mention the indie design community, who have provided fertile territory to develop our design thinking in general. Members of that community have shaped our thinking around how games should strive not to perpetuate harmful stereotypes and, indeed, promote diversity and inclusivity. This was crucial in developing our desire to create a Lovecraft game with a specific design objective to tackle the issues of racism and mental illness. We wanted to include a list of community members who were particularly instrumental, but the truth is there are so many of you that the list became unwieldy. Even so, Anna Kreider and Chris Chinn deserve special mention. The Lovecraftesque kickstarter is go! Edit: The kickstarter is now closed. It funded at over 300%! Many thanks to everyone who backed it. Once the remaining writing, editing, layout, art and printing are done, we’ll send books to our backers and, eventually, they’ll be available to buy. After 9 months of hard work, the Lovecraftesque kickstarter has just launched. Lovecraftesque is a GMless storytelling game of brooding cosmic horror. You and your friends will each contribute strange clues to a slow-building mystery, culminating in a journey into darkness that ends in a climactic scene of horror. You will be surprised and creeped out by your friends’ contributions, but the game is designed so that it will feel like one person was GMing it, even though you never had to break the tension by pausing for discussion. In short, Lovecraftesque is the GMless, indie-style Lovecraft game you’ve been waiting for. The game focuses on a single Witness, who is at the mercy of strange and terrifying events. Lovecraft’s stories rarely featured parties of investigators, and the hero rarely wins – that’s how our game works, too. You rotate responsibility for playing the Witness, but the role is much more about revealing their inner thoughts and fears than solving the mystery or beating up cultists. When you play Lovecraftesque you’ll be creating your own mystery, and your own unique monsters that will feel like something out of Lovecraft’s notebook. There won’t be any Mi-Go or Deep Ones – you’ll get a completely fresh take on the genre. You can find out more about the game, including a stripped down version of the rules and samples of the art and layout, on the kickstarter page. Author Josh FoxPosted on September 15, 2015 October 16, 2015 Categories BlogTags gmless, horror, kickstarter, lovecraft, lovecraftesque, roleplaying, roleplaying game, rpg, story gameLeave a comment on The Lovecraftesque kickstarter is go! We’ve been hard at work prepping to kickstart Lovecraftesque. Exciting times! Although we’ve both been gaming and designing for a long time we’ve never undertaken a project to make our games available to other people for cold hard cash. It has been an incredible experience and one we are still living moment by moment. It even included an instructive interlude last week when this modest website got hacked. We are about a week or so off our Kickstarter launch so now seems like a good time to do a quick update about where we are, some news about our layout artist and artist and some behind the scenes bits. Firstly I want to share our cover art by Robin Scott which is gorgeous and better in every way than we could have imagined. Secondly I want to give a heartfelt thanks to our layout artist Nathan Paoletta. Not only has he done a great job on our sample pages but he has been exceptionally generous in sharing his knowledge about kickstarting generally and various printing options. We have learned a great deal just from him and I hope we get the chance to give back to newbie game designers in the same way. Here is a sneaky peak of his layout. We are so excited that this is the level of detail and finesse going into the artwork for our game. Also you have no idea how grown up it feels to commission art… serious proper adulting happening over here. Next is a couple of photos we took at our video shoot. We are lucky enough to have a great video guy for a friend who helped us sort it out. We cleared out our dining room for a morning to set everything up and had to hang a makeshift ‘autocue’ off the camera rig with a coat hanger. Lastly, if you’ve ever met me in real life, no doubt you will watch the video surprised at how tall I’ve grown. Kickstarting has been a totally different experience to simply writing and playing games. There are finances to work out (so many hidden costs and risks to factor in – Kickstarter fees, shipping, Kickstarter processing fees, international shipping, EU VAT, US Sales Tax and even currency fluctuations). There is a video to shoot, art direction to provide, layout proofs to review, stretch goal writers to approach (we have a total dream team lined up, I can’t wait to tell you about it!) project plans to create and enact and then the thorny problem of how to get the word out there and hope that enough kind people have it in their hearts to back us! It has dawned on me that running a Kickstarter (even an unsuccessful one) requires you to get familiar with a whole load of new skills which go well beyond writing, playing and running games. Obviously I really hope we fund, but even if we don’t I feel like our skills have taken this amazing leap forward. Either way my respect for people who do crowd funding projects is immense, these people aren’t just game designers, they are totally multi-talented, and in ways I probably have yet to discover. We’ll be announcing the Kickstarter launch really soon so check back on the blog or follow us on G+ to find out when. For those who have been following this project, we’ve just been through another round of playtesting (some internal, some external) using updated rules. This was a bit of an odd playtest in a way. The rules updates we had made had their intended effect, the game seemed much improved, and overall we seem pretty much bang on in terms of realising our design goals while keeping the game fun to play. But we had two pieces of fairly broad-brush negative feedback which shook our faith a little and made us re-evaluate where we were. The bottom line is that after some soul-searching we concluded that we should not panic over two bits of feedback, when most of our feedback is so positive – but this feedback nevertheless led us to make some further changes. The big one was that the game was too complex. Of course, as an indie/story game-style game, it is a *lot* less complex than your average traditional RPG. At the same time, it is probably significantly above average complexity compared to its peers. More importantly, after reviewing the game we concluded that there were elements of complexity that could be removed quite easily, without changing the play experience. A no brainer, really. Progress through the parts of the game is now driven by scenes played rather than clues revealed, which seems simpler and more intuitive. We’ve ditched the idea of separate reprisals scenes (and the reprisals track), and merged reprisals into our card system. We’ve ditched the decreasing narrative distance rules and, again, merged them into the card system. By default you can only introduce rationally explicable clues throughout the game. The revamped cards allow you to introduce a thematic element (e.g. a cult) and enable thematically appropriate rationality-breaking clues or reprisals (e.g. the cult threaten or attack you). We’ve simplified the journey into darkness so you can pretty much choose whatever role you like on each step rather than having to switch back and forth between roles. The gameplay is more-or-less unchanged, but the burden of explaining the rules has been significantly reduced. The cost is that the cards are much more important – we need to playtest that before we’re sure if they work the way we want them to. The other issue we picked up was around tone. The default tone of the game is very much slow-building, brooding horror, with a protagonist who is at the mercy of events and probably doomed to meet an unpleasant end. But there’s nothing to stop the game from being a bit more heroic in feel. You could even run it for laughs, deliberately parodying the style. We’ve introduced a stage where this choice is explicitly discussed. This is less because we think these other options will be chosen, and more to make sure that whatever choice is made, everyone has explicitly agreed to it. We think this will reduce the risk of divergence of styles causing grief in play. We’ve also hit the start button on a couple of art pieces (we’ll only commission the rest if/when the kickstarter is successful) and some sample layout options (again, we’ll pay for the book to be laid out if we get the funds). Discussing ideas with our artist and layer-outerer (?) has really got us excited, and we saw some early sketches this weekend which look really awesome. We’re beginning to talk to printers and flesh out our ideas for kickstarter reward levels and stretch goals for the kickstarter. We’re still a little ways off launching the campaign, but it’s beginning to come together. [In the setup we agree the basic parameters for the game, in open discussion – the only time that discussion is permitted.] We decided to set the game in the Himalayas. Off the back of that, we decided to make our Witness an explorer. We wanted a classic Lovecraftian game, so we decided on 1890s for the era. His reason for being in the Himalayas seemed pretty obvious, so we just needed a personality trait (we went for arrogant) and a source of strength (we decided he was driven by the need to prove himself to an explorer’s club back in London). Finally, we needed a name (this always seems to come last!) and we decide on Sir Arthur Worthington. [Fergus had an idea for a starting clue, so we started the first scene with him as Narrator, Ric as Witness.] We began with Sir Arthur, already high in the Himalayas, trudging through thick snow with a retinue of sherpas carrying his equipment and supplies. A blizzard blows in, and Sir Arthur can barely see past the end of his nose. [Fergus comments: Already the power of having a Watcher was beginning to show as Josh brought the hostility of the environment to life, describing numbing extremities and the suffocating thin air.] Sir Arthur follows what little he can see of the path, to a large, blocky building of black stone, clinging to the edge of a precipice. He has lost the sherpas, and it’s only getting colder, so with trepidation Sir Arthur goes inside. Within he finds a dark room lit by yak fat candles, and filled with saffron-robed monks. The walls are carved with scenes of monsters. One of the monks greets him silently as he enters, and beckons him to follow. The monk leads him to what can best be described as an audience chamber, where a saffron-robed boy is waiting on a dais, backed by more carvings of strange demonic monsters. The boy explains that they have been expecting him, that there is a prophecy that foretold the coming of “Siratha”. He will save the world from a great evil. [This was the first clue.] Baffled, Sir Arthur agrees to the monk’s suggestion that he should rest now, and goes to sleep on a simple bed within the monastery. [The next scene is Ric’s to narrate, with me (Josh) playing Sir Arthur.] Sir Arthur wakes up to find the monastery empty. Nobody seems to be around – the monks are gone. Wondering if he has dreamed the whole thing, or lost his mind, he wanders through the monastery, trying to retrace his steps to the exit. En route, he stops to look at those carvings he saw before. He stares in disbelief as he recognises a perfect likeness of his own face amongst the carvings on the wall. [Second clue.] Although Sir Arthur has barely exchanged words with anyone, we have discovered more about him from his inner reflections. [Fergus is Narrator next, Ric is Witness. Fergus chooses a Reprisals scene.] Sir Arthur wakes up in the hut. He still has no food, no hope, no ideas. He opens another of the books – unbelievably, it’s the same Journal from before. He opens another – the same. They’re all the same. [This is a re-use of an existing clue, so doesn’t count as the clue for the scene.] Setting out into the snow, he spots a couple of scavenger birds flying in the distance, periodically descending to the ground. Realising that there may be food where those birds are landing, he heads in that direction. When he arrives, he finds one of his sherpas. He has been brutally killed. He appears to have been hit with something – a massive impact – and his face is a mask of terror. Most disturbing of all, his entrails have been torn out and arranged in the pattern of the symbol Sir Arthur saw in the fire. [Again, this is clue re-use.] A trail in the snow reveals where his body was – presumably – dragged to this spot. [Ric is Narrator, I’m Witness.] Sir Arthur is filled with horror at the sherpa’s fate, but pushes his fear down. He knows he will surely starve if he can’t find food. It is possible – just possible – that the other sherpas are at the end of that trail. So he has little choice: he follows the trail. At the end, he finds a cave in the ice. Inside, he finds a package of perfectly butchered meat, no bones within. [Fifth Clue. This triggers the end of part 1, which means all new Clues from now on must have no rational explanation.] Returning with haste to the hut, and desperately trying not to think about what might have butchered the meat, or what (or who… please say not who) the meat might have come from, he cooks the meat and eats it. [Fergus Narrator, Ric Witness. Once again, a card is played, this time “Change Location”.] Once the fog has cleared, Sir Arthur goes looking for his stuff and spots some of it, scattered down a sheer slope near the hut. Clambering down to retrieve his stuff, he discovers a deep, dark cave. [Ric Narrator, I’m Witness.] Heading into the cave, Sir Arthur comes upon the monk he met at the beginning of our story. Enigmatic to the last, the waiting monk gestures him to follow deeper into the cave. Sir Arthur follows, and after a time emerges through a carved stone doorway into an underground room, where the saffron-robed boy awaits, this time wearing a golden mask. The boy removes his mask to reveal Sir Arthur’s own face staring back at him. [Clue 7.] Sir Arthur screams the scream of the unhinged. [With the 8th Clue, part 2 ends. It could have ended earlier, if the Witness had decided to voluntarily initiate the Journey into Darkness, but he didn’t. Fergus is therefore Narrator for a Force Majeure scene, which proves rather simple.] Sir Arthur stands at the top of the winding steps, and knows he must go no further, his innate determination rising within himself. But then he feels a shove at his back, as the saffron-robed monk pushes him over the edge, and he falls, down into the darkness. [We now begin the Journey into Darkness. Since I can’t remember each individual step of the Journey, I’ve written it as a single scene, though different parts were narrated by different people.] Sir Arthur comes to at the bottom of the shaft. He lights a torch, and looks around. To his horror, he sees that the carvings that had described his dreams continue even down here. But now they are describing the events of the last few days. [Clue re-use.] There is a further staircase leading down into greater darkness. Sir Arthur follows it, plunging further down into the earth. He is feeling a mix of terror and exaltation now. He feels that this is his destiny. He was born to fulfil this destiny, and the fools at the explorer’s club will regret laughing at him. He finds himself at an altar, where a copy of the Journale of A Worthington sits waiting for him. But now he can understand the coded text. He reads it – it is a ritual, which he begins, chanting wildly. There is a little bowl of flesh. He eats it. A portal opens, and he steps through. [With the Journey over, we briefly conferred over who should do the Final Horror. As it happens, two of us had an idea, but Fergus said that his was perhaps a little too optimistic an outcome to the story, so I stepped forward to narrate the Final Horror, with Ric as Witness, for all the good it did him.] Sir Arthur emerged onto a cold mountain peak. Before him was a great cauldron of blood. The saffron-robed monk was there, and gestured to the cauldron. Knowing now that his destiny would be fulfilled, Sir Arthur drank from the cauldron, deeply. But now he felt strange. His limbs began to change. His voice was changing, his hands warping into tentacles. He tried to scream, but in place of his voice was a terrible, cracking, bubbling noise. The saffron robed monk places a golden chain about his neck, and leads him down to join the other monstrous creatures, his predecessors on the mountain. [The Epilogue rotates the roles so that someone not involved in the Final Horror gets to be Narrator. That’s Fergus, so he narrates what becomes of the Final Horror, and Ric gets to narrate the fate of the Witness (in this case, his descendant.] In the Epilogue, Sir Arthur’s son grows up and becomes a geologist. He, too, decides to journey to the Himalayas. We ended with the monster that was Sir Arthur watching, wordlessly, as his son arrived to enact the ritual. So, as you might have noticed from my earlier post about playtesting, the first round of Lovecraftesque playtesting is over. 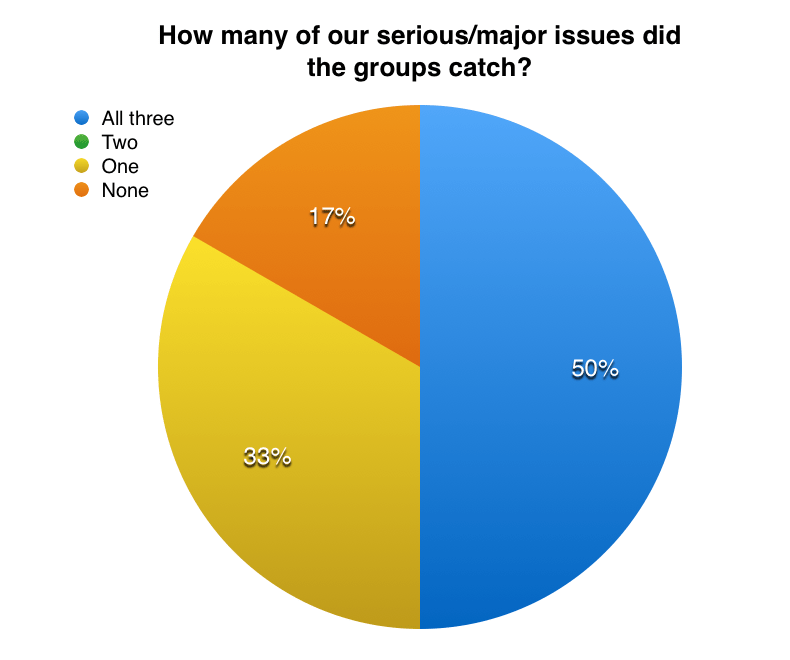 We picked up a lot of issues – a few quite major, most not so. We’ve moved quickly to make some changes and additions to tackle the former, in order to get some rapid feedback from some playtests we’ve already got lined up. So: here is a summary of some top-level issues we encountered and what we’re doing about them, with the caveat that this is only a first cut and we reserve the right to have a total rethink in the coming weeks. The main change we’ve made is to provide a style guide to Lovecraft, covering the themes, paraphernalia and language used by Lovecraft. This is supported by other changes which I’ll describe in a moment. 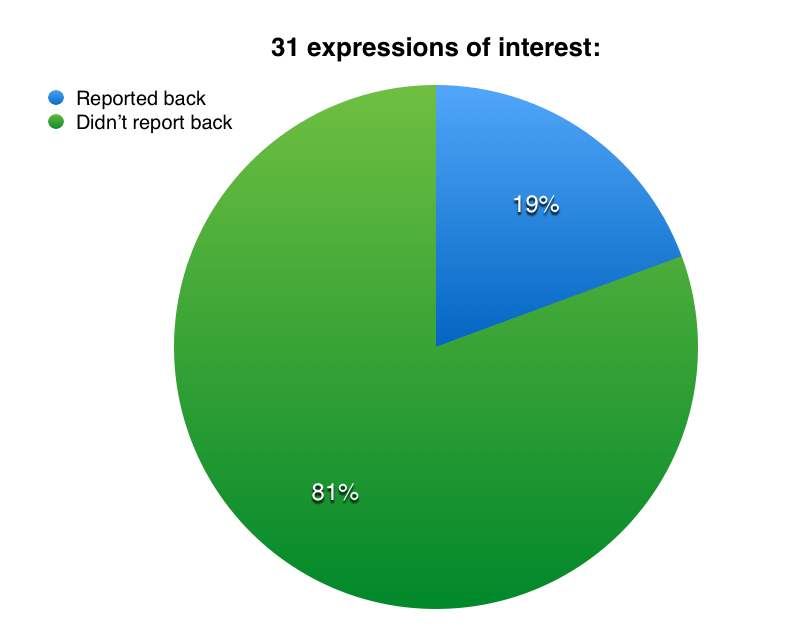 It remains to be seen whether knowing the themes and having them at the forefront of one’s mind will be enough to make the game feel like Lovecraft – we should know pretty quickly after the next few playtest reports come in. We’re also thinking about introducing a requirement to choose a theme for the story, from a list we’ll provide. But that’s something we need to think about over a slightly longer time period – it hasn’t gone into the game yet. This was also a bit of a disappointment, if I’m honest. I have to explain complicated concepts for a living, so I thought I’d do pretty well at this. I think most of my playtesters managed ok at learning the game. Those that didn’t, were new to indie-style games, which may account for the problem. The teaching of the game, however, seems to have been more laborious than it needs to be. We’ve created a teaching guide to tackle the latter problem. It’s pretty clear that, since this is a game that has a number of stages that work quite differently to each other, the best way to do this is to teach the game as you play it, not attempt to explain it all at once. That’s what we’ve done – create a guide which you read out at key junctures to explain the key concepts (at the start) and how the basic procedures differ as the game evolves (when the changes happen). The guide also includes a potted summary of the Lovecraft style guide, so that it isn’t just the facilitator who benefits from that. The whole thing would take about 15-20 minutes to read out if you literally just monologued it, but it’s broken into chunks, so hopefully the job of teaching is a bit less strenuous. We’re going to have to think about whether the rules are just too complicated, or the rules guide not structured in the right way. That’s something we’ll get to in a later iteration. Quite a few groups found that it was a real challenge to weave together all the clues they had seeded through the story into a single compelling Final Horror. They ended up either ignoring some clues, or laboriously explaining through exposition how they fit in, or having a lengthy discussion as a group which obviously breaks the tension. We’ve introduced a new rule to address this. In the new version, after every scene there’s a pause in which everyone individually writes down what they think is going on. Obviously nobody really knows – but the rules say you have to leap to a conclusion. The idea is that you’ll then use that premature conclusion to guide what you narrate in the next scene. Since the other players will surprise you, your ideas will change every scene – but because nobody is just firing off ideas into the void, the story will be a bit more coherent. More importantly, when the Final Horror comes, nobody is starting from a blank slate. These weren’t the only issues our playtest uncovered! But they’re the biggest – we think the rest will be relatively easy to crack. We’ll be going over these, and thinking more broadly (and maybe more deeply) about the game’s overall design, over the next few weeks, with a view to commencing a fresh playtest on a completely revised version of the game.